Biblio helps organise your book collection. Digital diary with many functions and easy usage. 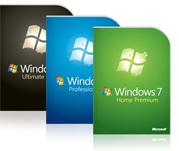 You will find only best of the best software in our catalog! MySoftCatalog is a program in whish you can make mirrors of drives/CD s.
Manager of your media, IMDB and CDDB support, export to Excel, finding, covers. Melomania is the handy music organizer software for Windows.